Who says Cabinet changes here don’t spring surprises? Dig a little deep into the reshuffle announced by the Prime Minister on Thursday and you will find at least one. Of all the ministries, only one has an Acting Minister. And for support, that Acting Minister has just one Parliamentary Secretary; that too a newbie as far as political appointments go. All others have at least one, in some cases two, full minister and, at the very least, a Senior Parliamentary Secretary. This is a surprise because the Ministry of Information and the Arts, which is being left under the charge of those who came into politics in the last elections in 2006 (Mr Lui Tuck Yew and Mr Sam Tan), is facing testing times that will determine how Singapore’s socio-political future will be shaped. If there is one Cabinet appointment that needs an experienced hand, it is Mr Lui’s. With the internet media getting more shrill by the day and with the government still in a reactive mode in what’s thrown up in this largely faceless community, his job is going to be an onerous one. Hovering over these developments is the next general elections and how the government will take its fight to the new media. Three events in the last four months show how tricky things are getting. The public ticking-off of a top civil servant for his article on his family’s culinary trip to France, the decision to come out with a report card sometime later this year on how well Town Councils are run and the Defence Ministry’s official response to the death of one of its medical officers in Melbourne. They all have one thing in common: by and large, it was the blogs and websites that were keeping the issues on the boil. Having tasted blood, the new media is likely to push the envelope further. In fact, one website in a commentary recently said that bloggers will continue to push and push an issue until they get a reaction. In short, they are going into an area that has been out of bounds in Singapore: crusading journalism. 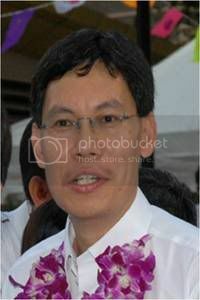 How the government responds to this effort to redraw the battle lines is primarily going to be Mr Lui’s job. A crackdown will be a step backward for a government that has spoken of a light touch and for a country that is very plugged into the new internet world order. A folded-arms approach will mean surrendering to the new media community. Mr Lui and his team have no other alternative but to engage this community. A robust defence of established principles is just not going to work. Instead, an unemotional sifting through of the issues discussed, identifying the talking points and responding to them is the way to move forward. Here is an example. The angst over the Town Council debate late last year was all about two questions: Why did some of these organisations keep quiet about their investments in the doomed Lehman products? And why do they need to accumulate so much public money ($2 billion) in their sinking funds? The government’s response should have tackled these questions directly and openly instead of, at least in one case, using that line from an old record: Be thankful. Responses like this don’t wash anymore. Mr Lui and his team need to convince the unconvinced that online media, despite misgivings of it being faceless and priding itself in a talk-first-think-later culture, is here to stay. And its influence can only grow. They need to come out with a comprehensive plan in dealing and debating with them. Sometimes explaining policies painfully and patiently. Sometimes giving back as good as it gets. And, let me hasten to add, this cannot be done solely in the traditional media, which has been the practice all this while. 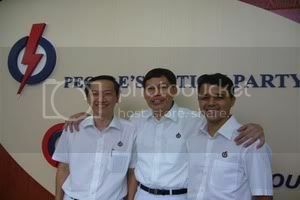 Mr Lui and Mr Sam Tan should not be the lone rangers in this fight. They need all the help they can get from every other arm of government. From MPs to civil servants, they must realise that the shift to the internet is irreversible. MICA needs help and with the Cabinet changes already in place, the next best thing is to look at a high-level committee drawing people, even bloggers, to come together for a serious re-look of a policy that is in danger of being swept away by the currents of change.